New Brunswick trio Motherhood approach their art rock with a mischief-spiked sensibility on "Bird Chirp". Motherhood hail from Fredericton, the picturesque capital of New Brunswick, Canada. The trio -- guitarist-vocalist Brydon Crain, keyboardist-vocalist Penelope Stevens, and drummer-vocalist Adam Sipkema -- also seem to be pretty keen on dogs. Their previous single from last September was called "Pick of the Pugs", and now we have this video for their latest. 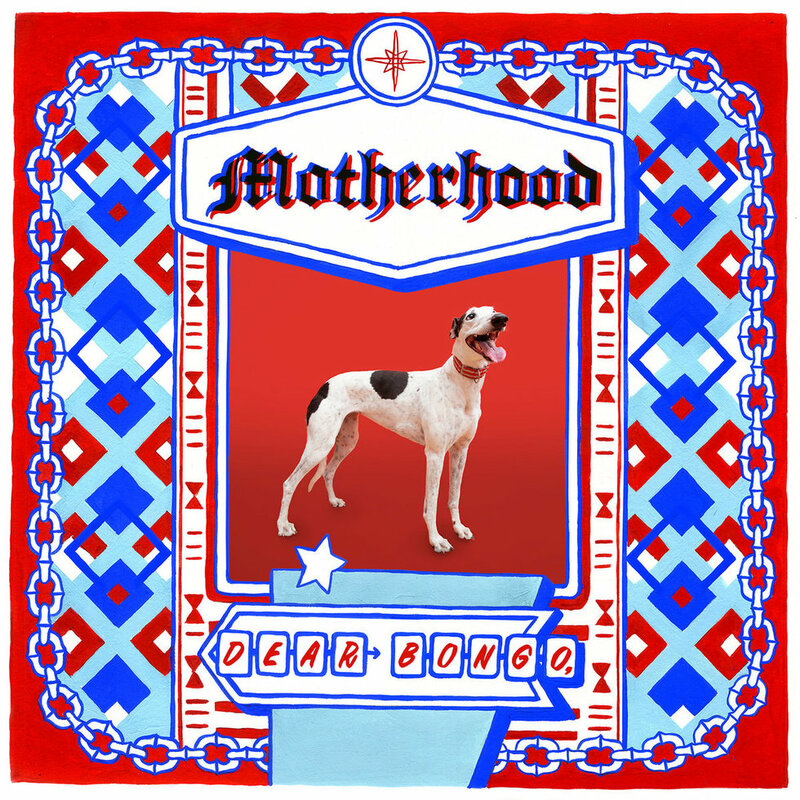 "Bird Chirp" is the first single to be taken from Dear Bongo, Motherhood's new album features a canine on the cover art. Not only that, but the video for the song was partially filmed by putting a GoPro camera on Tesla, their beloved retired racing hound, and letting her loose along the banks of the nearby Nashwaak River. The breezy lurch of the arch indie-art funk of "Bird Chirp" tempers the dizzying dog's-eye-view footage. Similar to the way that the song repeatedly starts and stops, speeds up and slows down, the video changes course half way through. "The second scene," the band explains, "is the far north New Brunswick town of Caraquet, where we played our last 2018 show at MusicNB's annual celebration. Of the many friendly faces there, some met us on the rocks for a sing-song captured by a drone circling overhead. The chilly coastal imagery juxtaposes the warm summer daze of the river flats back home." "Bird Chirp" is out January 18th. Dear Bongo, is forthcoming via the Halifax-based Forward Music Group.